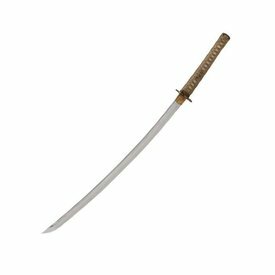 The Orchid katana has a unique beauty. 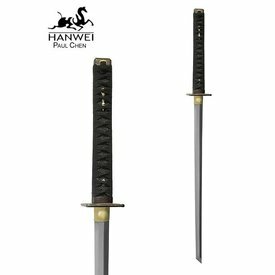 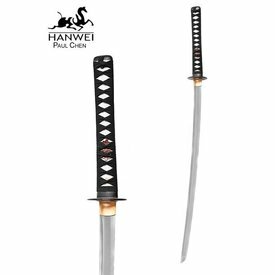 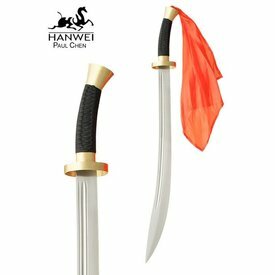 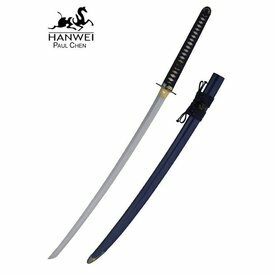 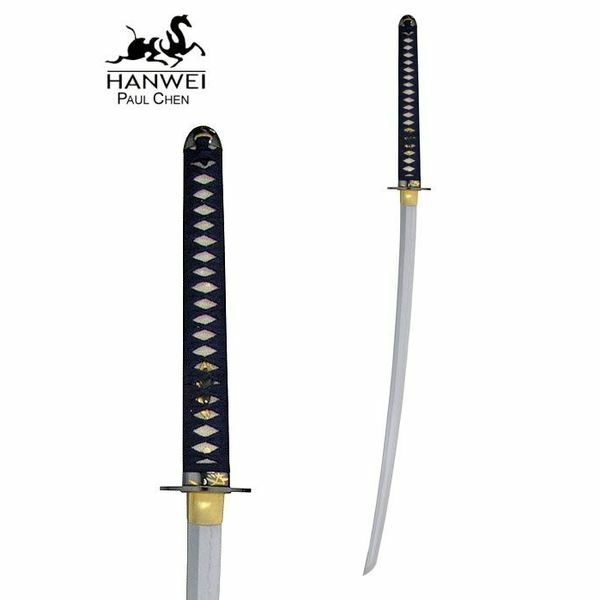 The blade is made of folded K120C steel with a characteristic koshirae and a beautiful hamon finish. 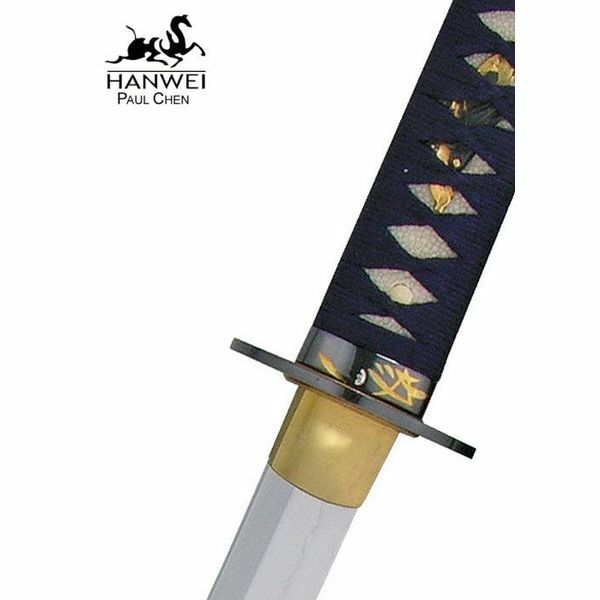 The grip is wrapped round with same (shagreen) and roughly woven Japanese cotton. 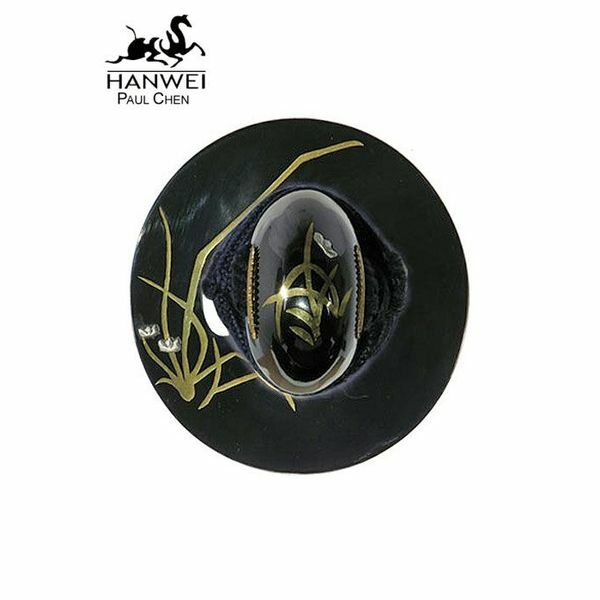 The tsuba is made of black iron and the butterfly motives are painted with silver, brass and copper. 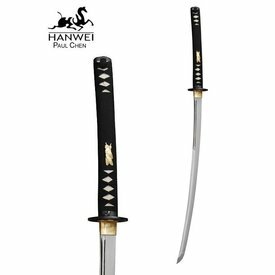 The saya is made of black buffalo horn. 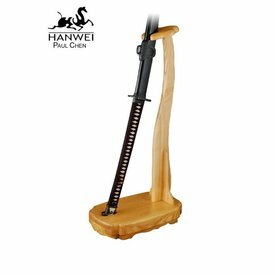 The habaki is made out of one piece. 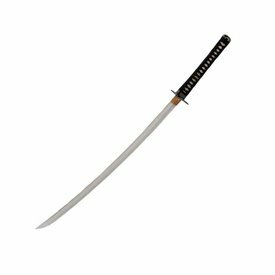 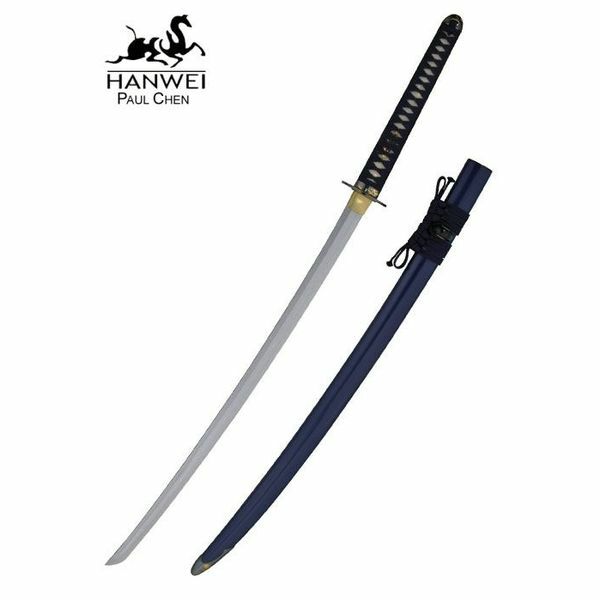 This katana is 102,9 cm long with a 71,12 cm blade and a grip of 29,2 cm, it weighs 992 grams. 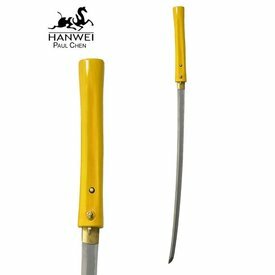 The point of balance is situated 15,24 cm below the grip.